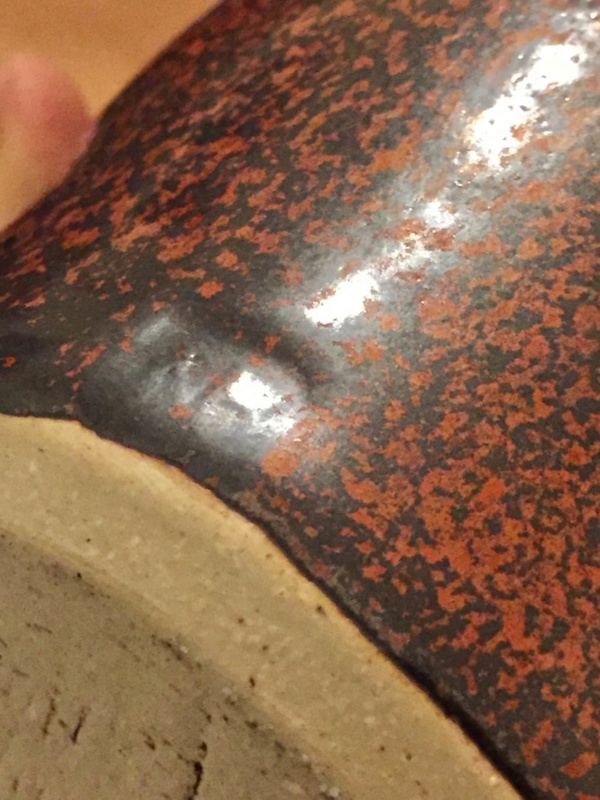 I have a studio pottery vase with an 'NB' makers mark on the lower rim. 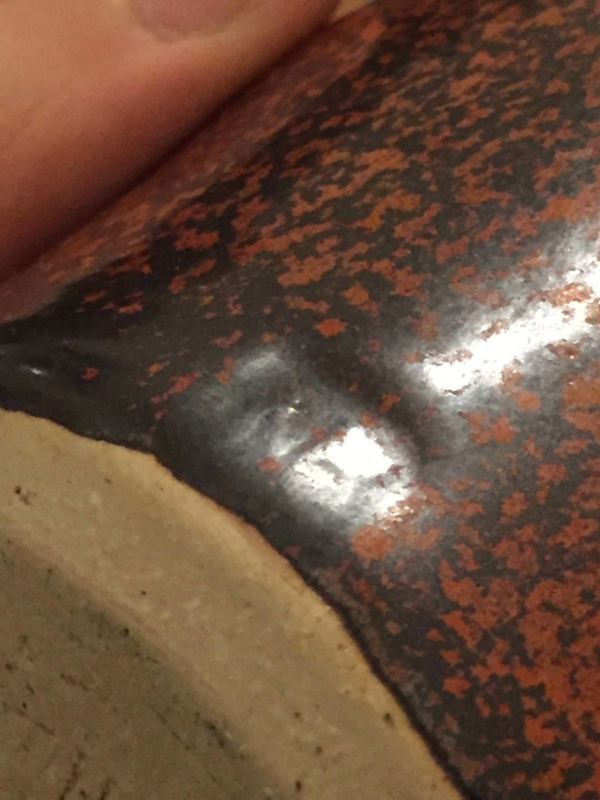 The glaze on this vase is quite thick, and so it's difficult to photograph this mark clearly. 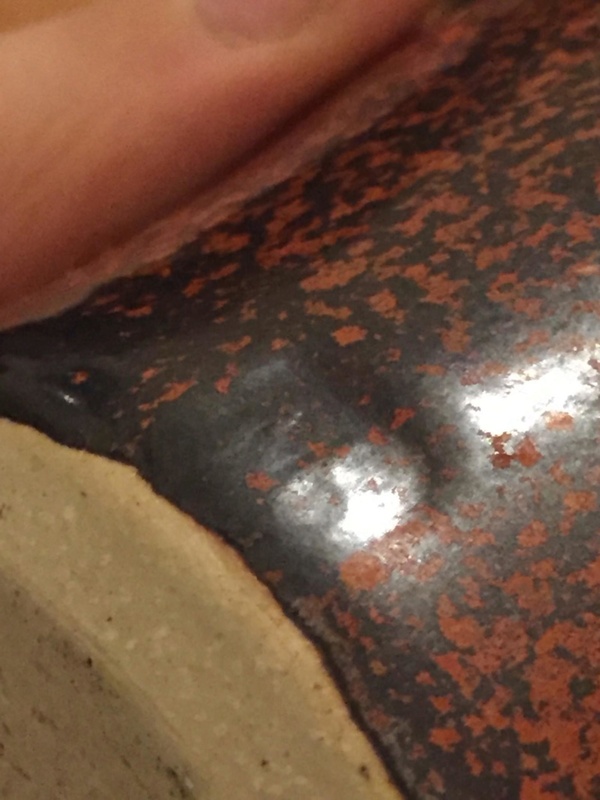 The N and B have been joined together so that the second vertical line of the N is merged with the vertical line in the letter B. could this potentially be a vase by Norah Braden? 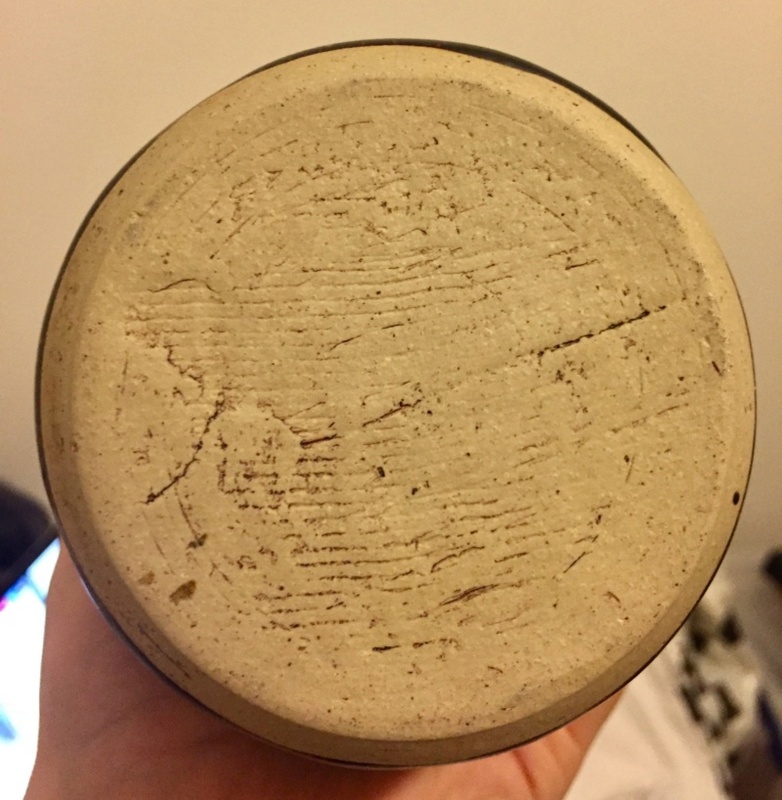 Any help to confirm the authorship of this piece would be greatly appreciated. 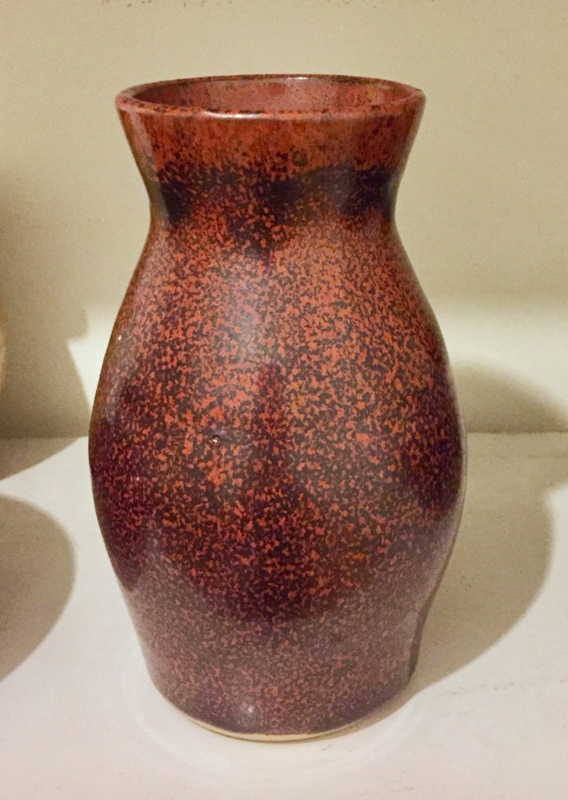 Re: A Norah Braden vase? I don’t think so, unless it’s an unrecorded mark. It’s not one of the ones in the Marks book - her usual NB stamp is in a hexagon rather than a rectangle. 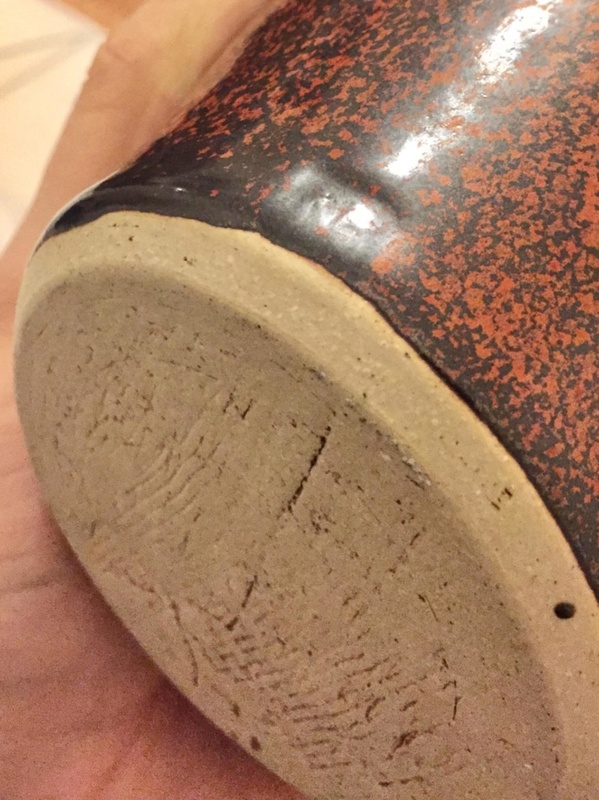 And I’m not finding another of hers in this shape or glaze.